Everyday Food Made Simple: JULY Specials! Here are the JULY Specials! Breakfast anyone? I LOVE everything that is on SALE this month! You can make omelets and a quiche using our Egg Powder and then throw in some of the Sausage! I also use the sausage on Pizza and in Spaghetti Sauce. 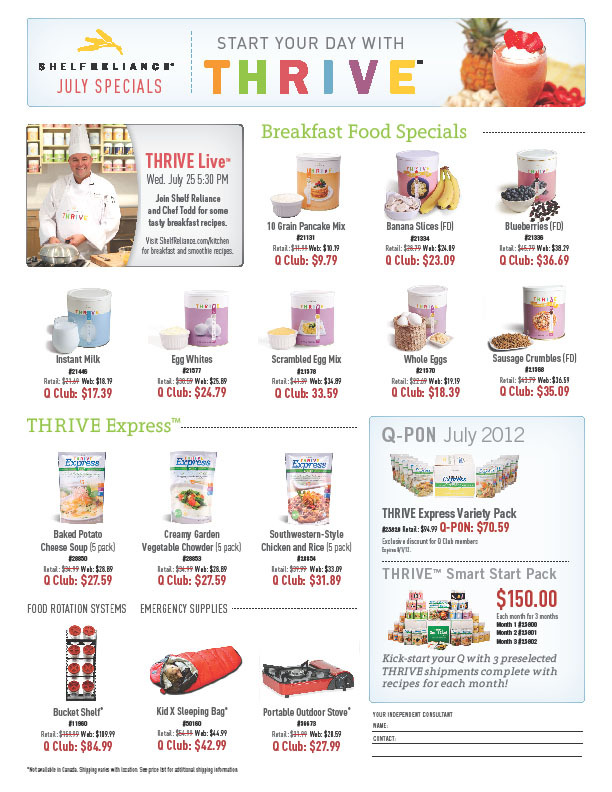 Another Product that I LOVE is the Thrive Express Meals and they are a GREAT PRICE this month! You get one of each of the Meals for $70.59....that is about a $1.50 per serving! They would be great for a quick meal, any College Student, camping or hiking trip!